If you’re here for Episode Six, scroll down, or check it out on the episodes page. Well, things have been moving along here with the show, so far it seems that Episode Six is being received rather well. Glad to hear you guys are into the plot. It seems that some of you have been having trouble with our downloadable versions of this episode, so we’re having them re-encoded and hopefully working normally fairly soon. Also, here is a fun little present you guys. 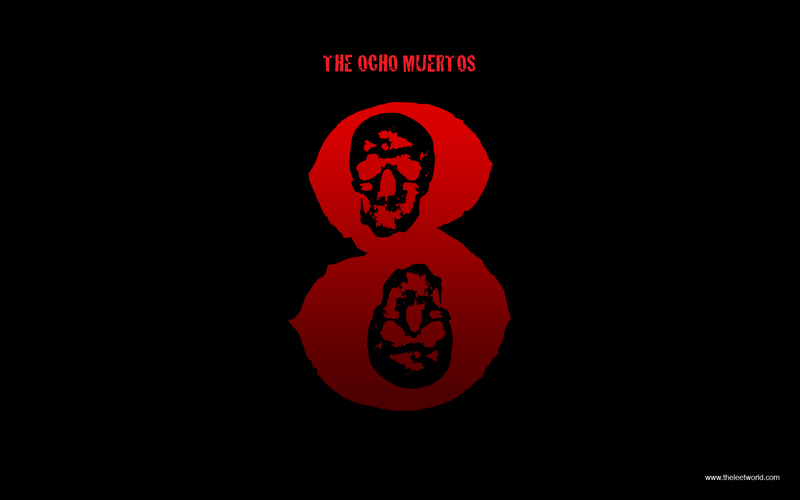 Nick designed an “Ocho Muertos” logo for Episode Six, and though it’s hard to tell because CSS sprays are so low res, it’s very slick. Hopefully you guys will enjoy it in its desktop iteration. Click on the thumbnails to see them in their fully glory, and then right click and save if you want to make them your desktop. The first is 4:3, the second is for widescreen monitors. This entry was posted in Extras, News and tagged Css Sprays, Desks, Downloadable Versions, Episode Six, Iteration, Thumbnails, Tops, Widescreen Monitors on November 12, 2007 by Eddy. I never have been able to download them, as they are very screwed up on my computer. Probably just me though. Nice, now where is the bloopers for the latest ep? aw… The? why “the” …. 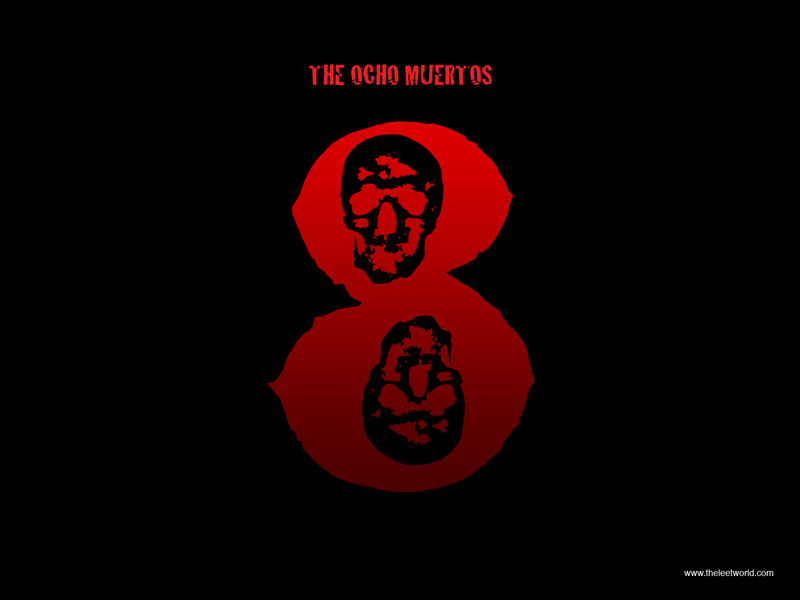 omg ….. is the skull a copy of the skull from Gears of War :O:| only it’s reversed and made into 2 colors…. u can do that in photoshop very easy …. No it is not, but I could see how you would think that because the Gears logo is also a red and has a skull shape in it.